A modular building can say a lot about your business, and if it’s being used for sales or marketing, it’s vital that it makes the right first impression. Present your business in the right way with a cost-effective and aesthetically superior Clearview Modular Building from Portable Building Sales. Available in a wide range of sizes, layouts and colours, there’s a competitively priced Clearview Modular Building for every customer-facing role. With innovative styling and a unique shape, they’re designed to be more visually appealing that traditional modular buildings, and are constructed with feature length windows that create a light, airy and welcoming internal environment. Fully bespoke and manufactured to order, they can be delivered and installed to your desired location in as little as 4 weeks. 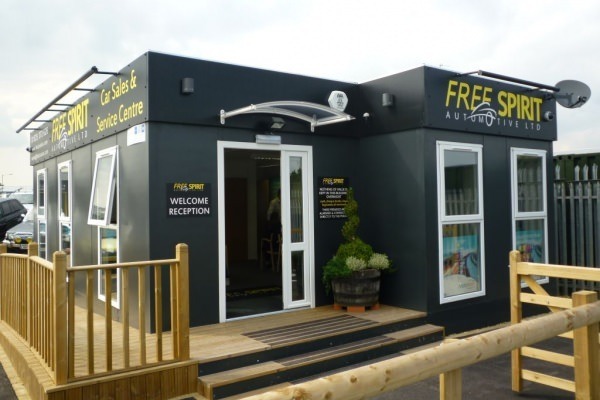 We also offer a selection of high quality, approved used modular buildings suitable for sales and marketing use. For additional information about new and used modular buildings for sales and marketing uses, call Portable Building Sales on 01482 656590, or email contact@portablebuildingsales.co.uk today.